Have you ever looked at your hands and thought, “these are pretty cool and all, but what would my life be like if I had a set of green alien hands?” Does it keep you up at night? It kept us from getting a decent night's sleep, that's for sure. Now, you never have to worry about that sort of thing, since we found the perfect item to make it feel like you have a set of real alien hands! 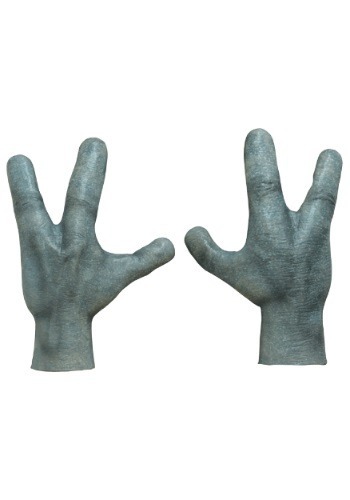 These Alien Hands fit over your human hands like a set of gloves, making them look like those of a creepy space alien. Once you have them on, you can go about testing how your life would be with alien digits. You can creep out your friends, pilot UFO's, or handle other advanced alien technologies. Just watch out for any FBI agents while wearing these things. They may just try to send you to Area 51!